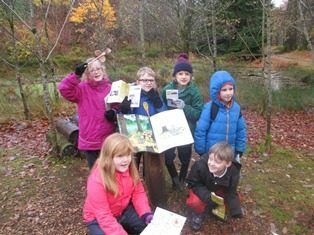 Last Friday, while the ‘bigger’ pupils were off learning how to become Digital Leaders, Furnace and Minard ‘littler’ pupils decided to go off on a Gruffalo Hunt to Ardkinglas Gardens to have some outdoor fun and learn some more Scots words. The crispy cold day added to the sense of adventure, especially as we had recently read The Gurffalo’s Child. We followed the little mouse’s directions past Tod’s ‘deep-dooon hoose’, Hoolet’s “tree-tap hoose” and Snake’s “log-hoose”. 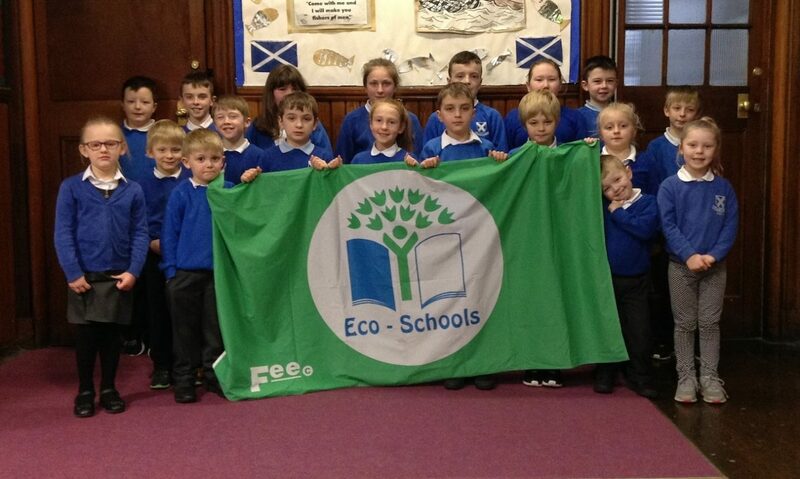 As part of their forest topic, Dalintober Primary 4 visited Beinn Ghuillean. They spoke to Wildlife Ranger Kevin McKillop and beat Ranger Barry Bruce. 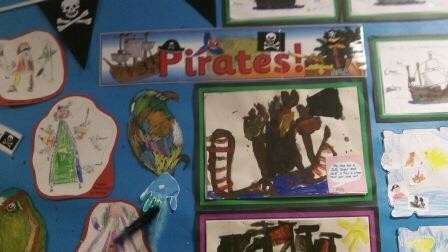 Both men told the children about their jobs in the forest. 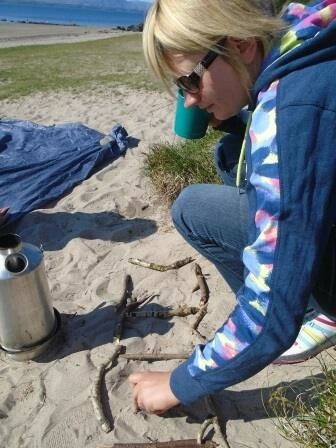 The first gathering of Oban and Lorn Little Owls met at sunny Ganavan on Monday 30th May at 4pm. 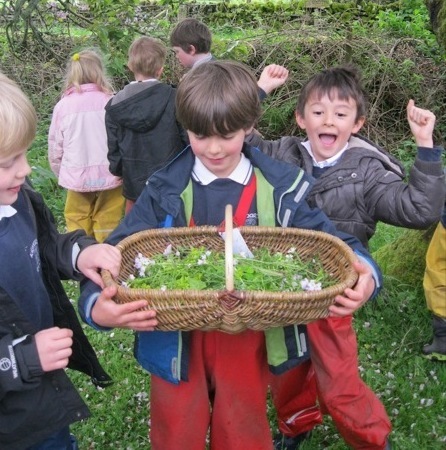 OWLS (Outdoor and Woodland Learning Scotland) is a national group, formed from the Forest Education Initiative and promotes outdoor learning. At our gathering we shared ideas, tried out some new maths and talking and listening activities and of course had a brew on the Kelly kettle. 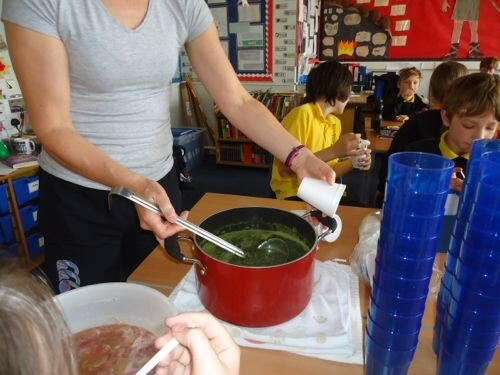 Primary 6 pupils at Rhu had a prickly meal when they took part in a Stone Age food sampling day. 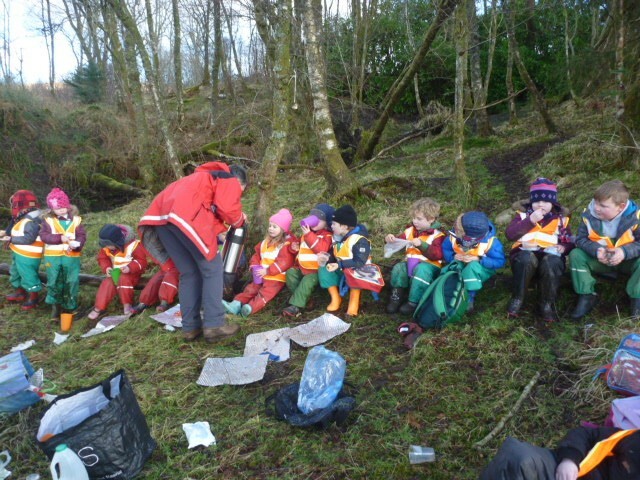 At Rhu Primary School, Primary Two have been developing their pioneering skills in Ardenconnel Woods. 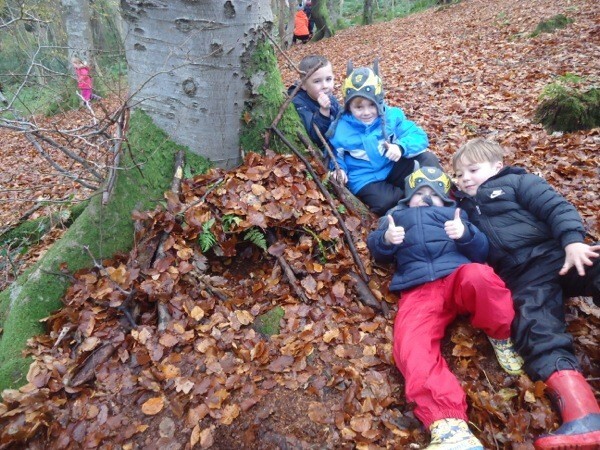 They have learned to forage for natural materials and use them to build a den for the local fairies. They plan to use these skills to make a camp as part of their Viking topic. 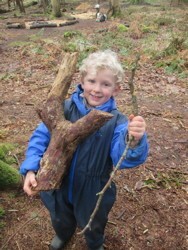 Amanda took us all on a Forest Schools adventure and invited our mums, dads, grans and grandpas to come too! We were learning about size and went on a hunt for big and small. There was a lovely muddy ditch to climb in and out of but someone got their wellies stuck and after lots of problem solving they were pulled out by a very long stick! Little did they know a troll was watching from under the bridge! 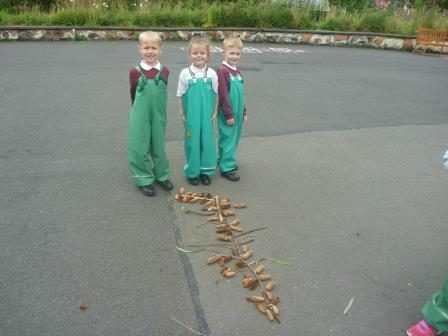 Gordon and Jessica helped us to name all the things we found and sort them into big and small. 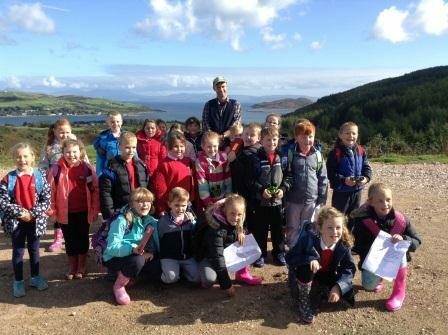 At the end of May, GM6/7 from Sandbank Primary (Bunsgoil Thaigh a’Chladaich) travelled to Mount Stuart on the Isle of Bute to participate in some ancient technology courtesy of Gordon and Jessica at Bute Heritage Woodwatch. 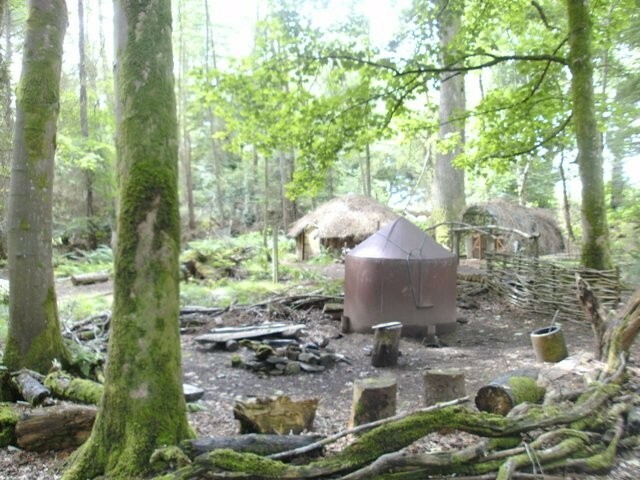 We had a brilliant day in the woods learning about how our ancestors lived throughout history. Sitting inside the Bronze age roundhouse we imagined life long ago and saw how they made hooks, needles, whistles, arrowheads etc from natural materials such as bones and antlers. 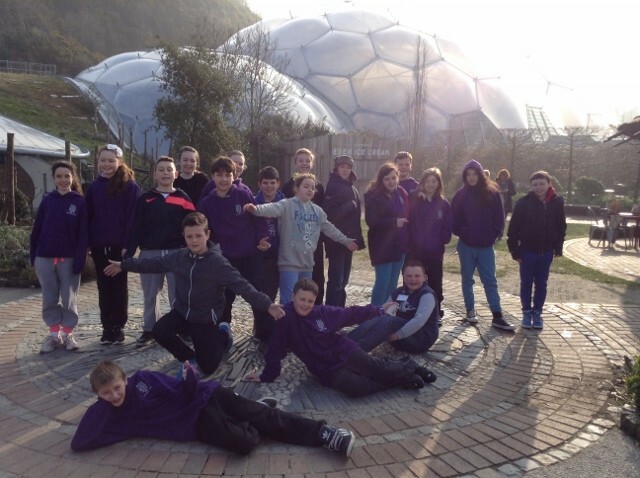 After scooping the coveted Eden Award, at the Rolls Royce Science Awards, held at the Science Centre in London, last November, with their Biodiversity project entitled ‘If You Go Down In The Woods Today’, the children of Primary 7, along with their teacher, set about planning the 1,100 mile round trip visit to The Eden Project, St. Austell in Cornwall. 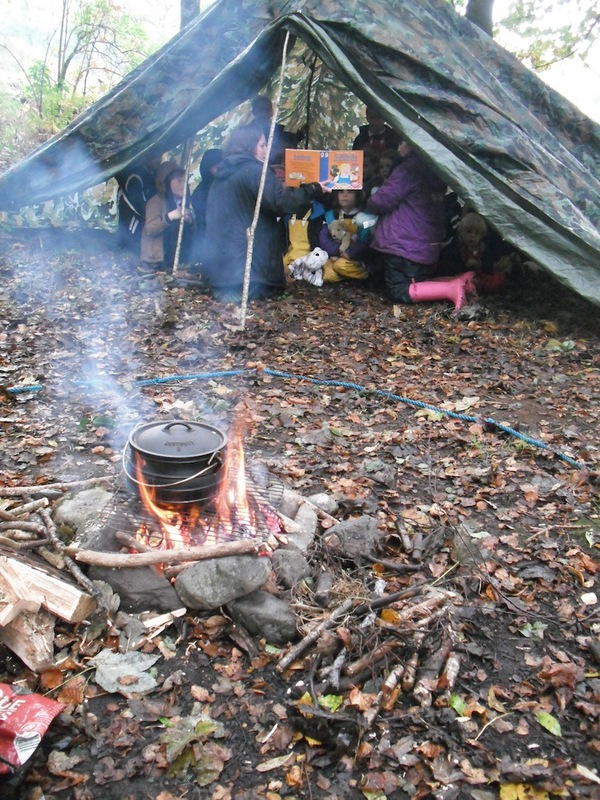 Friday 10th October is National Porridge Day and to celebrate this, the children cooked and ate their own porridge in the woods during Forest School. They kept a close look-out for that rascal Goldilocks so she couldn’t creep up and eat all of their porridge while they weren’t looking so to help, the children all brought their favourite bears to act as lookouts! Exciting News from St. Muns! The Rolls Royce Science Project, ‘If You Go Down In The Woods Today’, has definitely inspired a number of children in the school. 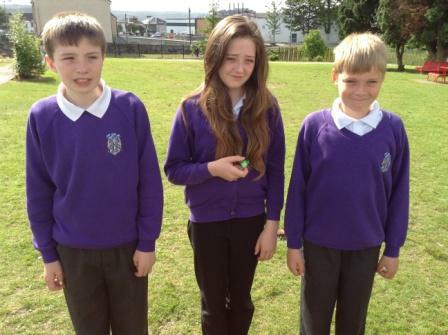 None more so than 3 Primary 7s, Leonie Cuddahy, Ewan McIntosh and Scott Stewart, who decided to write to Blue Peter and tell them what they had been up to over the course of the last year. 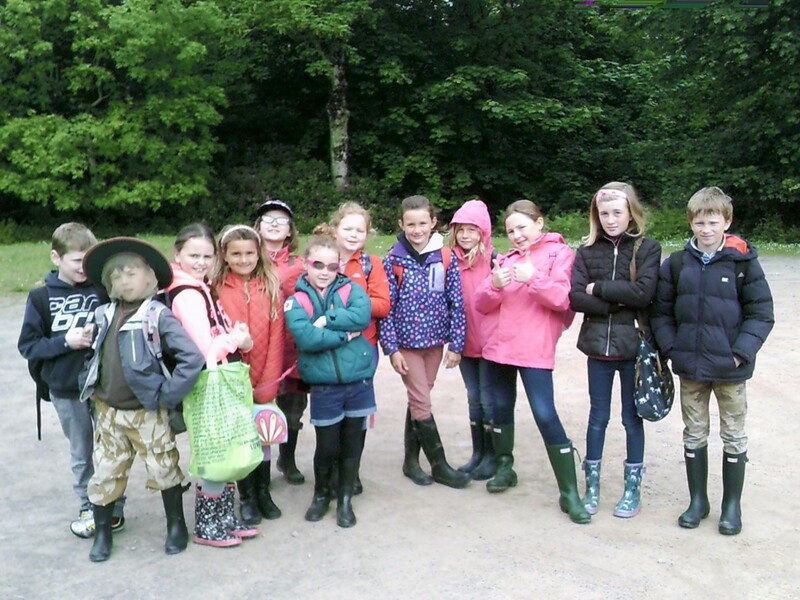 Kilmartin P7-4 Take the Bear Grylls Challenge! 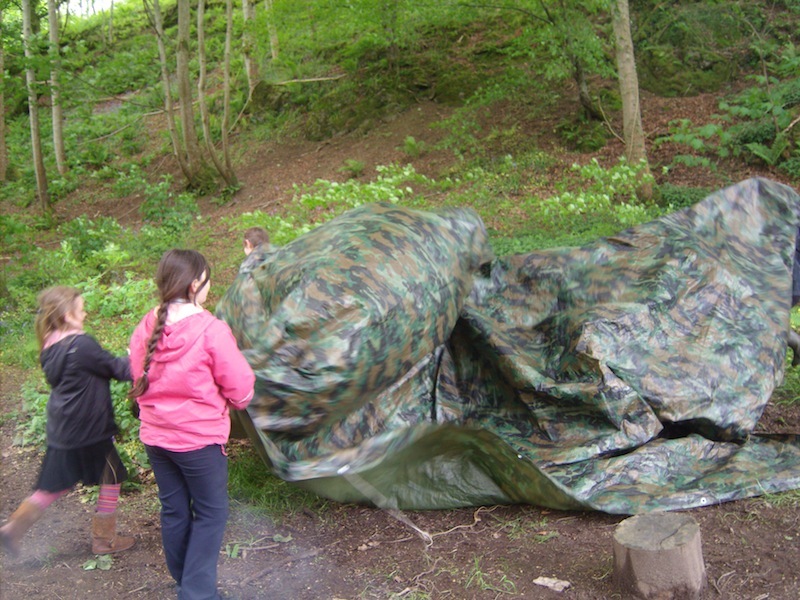 To test how good our children’s survival skills are, the P7-4 children were set a task to organise an emergency camp, find dry tinder, for a fire and forage for some food. They received no help from adults and had to agree as a team who would be responsible for each task.They had to revisit what they had already learned to help them and give their best effort to achieve the outcome. 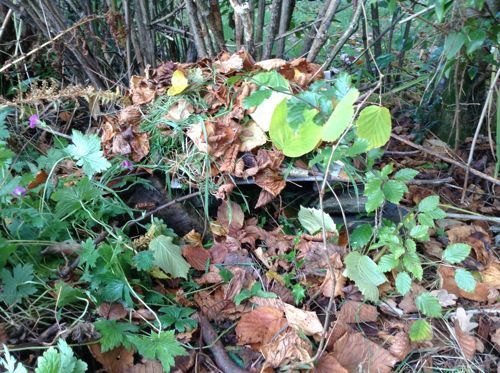 P1 in Garelochhead Primary School have been extending the accommodation in the Anniversary Garden to include a Hedgehog House. Some distance from the newly opened hotel, in a corner so as not to upset the guests, they constructed a home for Hedgehogs. Using materials found in the garden and some recycled waterproof resources the children set to work enthusiastically, so much so that we now have two houses. Look out birds, you will be next. 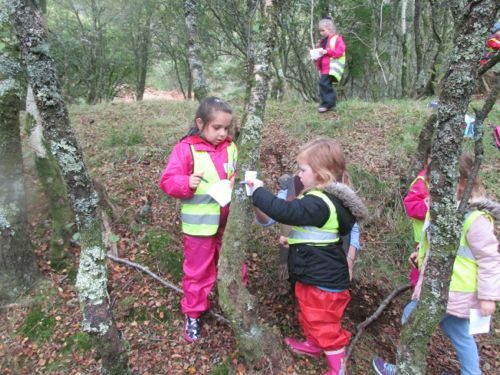 Barcaldine Primary school children were invited along to Sutherland’s Grove on Tuesday afternoon to help plant Coastal Red Woods trees. The weather was a bit wet to start but it soon dried up and the children along with Forestry Commission Scotland Craftsmen’s Peter MacArthur and Rory Maclean spent a couple of hours planting trees.